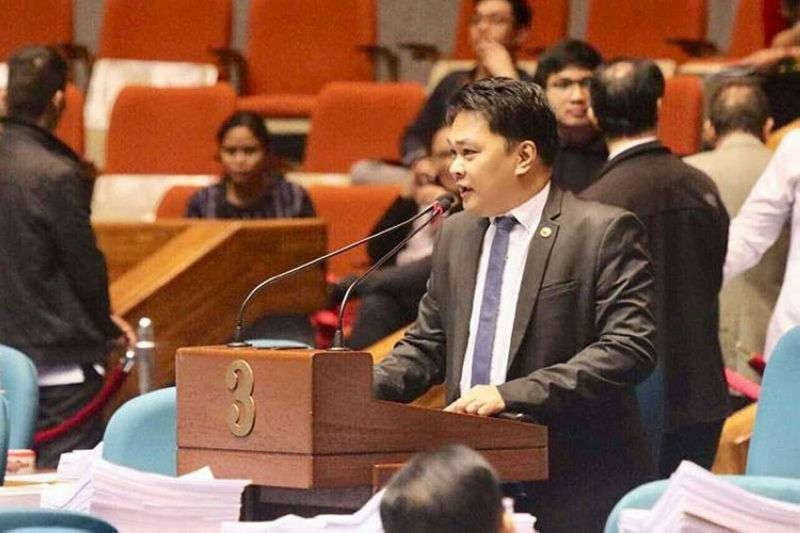 BACOLOD City Lone District Representative Greg Gasataya slammed former congressman and former mayor Monico Puentevella for allegedly sowing confusion of the House Bill (HB) 8827. Gasataya, one of the co-authors of the bill, said that Puentevella is wrong in his understanding of the real intent and spirit of HB 8827 or an Act granting Gamboa Hermanos Farmworkers Multipurpose Cooperative (GHFMPC) a franchise to construct, install, establish, operate, own, manage and maintain distribution systems for the conveyance of electric power to the end-users in the Island of Negros. He added that once this bill will be passed into law, the measure will help stabilize the power supply situation in the island. “The former mayor has this habit of making so many assumptions without apparently reading and understanding the entire of the proposed legislation. His fears are unfounded because we have the Energy Regulatory Commission, the Department of Energy and the House Committee of Energy, among others, to see to it that consumers will not be put to a disadvantage,” he added. Puentevella, who is now running for congressman, earlier expressed dismay over a bill claiming that privatizing Central Negros Electric Cooperative (Ceneco) and replacing it with a farmworkers cooperative to handle power distribution and management beg so many questions that need to be asked. Puentevella said Ceneco has been servicing Bacolod City and nearby cities and municipalities since 1976 and has shown its expertise and capability in providing enough power for our households especially in Bacolod. “If they will be given a franchise (GHFMPC) all the electric cooperatives in Negros Island will also stop its operation including Ceneco,” he said. Gasataya also countered that Puentevella is jumping the gun with his claims that the bill could be led to the privatization of Ceneco. “The bill is actually complementary to Ceneco’s preparations as it may seek to renew its franchise when it expires. But Puentevella clearly chose to twist the facts by sowing unfounded fears that with a franchise granted to Gamboa Hermanos, the power rates will go up,” Gasataya said. Gasataya advised Puentevella to revisit his understanding of market behaviors particularly on the law of supply and demand. Gasataya said the more independent power providers (IPPs) are in operations, the lower the cost of electricity bill. “Encouraging more IPPs is also in keeping with spirit of Electric Power Industry Reform Act, especially in the case of Negros Island with a growing population thus eventually resulting to increase in demand. We need to prepare our communities, our industries for their power needs otherwise we will be like other regions that often experience massive outages as they progress,” he said. Gasataya noted that the recent establishment of more solar farms in the island, particularly in northern Negros, is also a welcome development. Gasataya also called Puentevella as anti-people for belittling the GHFMPCs capacity once granted a franchise because they are mere farmworkers. Gasataya disclosed that the committee will call on public hearing and Puentevella should attend and raise his unfounded allegations and clarificatory questions, and not through grandstanding and sowing confusion.